Welcome Home! 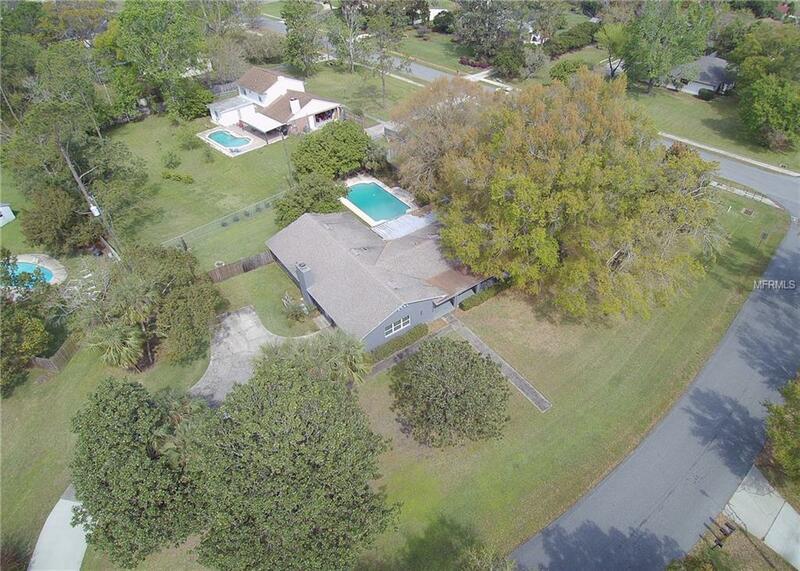 No HOA and sitting on an almost 1 acre, corner lot in Winter Springs! This 4 bedroom, 3 bathroom pool home features an Open, Split Bedroom Floor Plan and a front and back porch, pool, oversized 2 car side entry garage, updated kitchen and baths, crown molding and tall baseboards in living spaces, wood burning fireplace, French Doors, new windows along the front of the house and plenty of extra storage space! This floor plan allows you to use the living spaces to fit your individual needs. The Kitchen boasts stainless steel appliances, tile backsplash, a window overlooking the backyard, upgraded hardware on the cabinets and a stainless faucet; it is also open to the large Family room and Breakfast Nook. The large Family room features a bar, wood burning fireplace, built-in shelves and access to the back porch. The Master Bedroom has a large walk in closet with built in features and a nice, updated bath. On the other side of the home, there are 3 large bedrooms and a full bath with access to the back porch. The backyard is a great space to hang out and relax with a screened in porch, open resurfaced pool with a deck and you still have enough room for other activities. This home is on a supreme lot and minutes from shops, dining, 434, 417 and top rated Seminole County Schools. Don't miss out on this great home, call today for your private showing!